This week Belarusian TV reported that Ukraine will lose rather than win if it signs the Association Agreement with Brussels. It also covered the falsification of reports in the Belarusian state-run agricultural sector and a contest for the best crop gatherer in Belarus. State TV argued that the Transparency International report on corruption is unreliable and underestimates CIS countries. Alexander Lukashenka’s talk about reforming the Electoral Code, as well as science and development of the economy got significant coverage. Experts: Ukraine will lose its independence. Belarusian TV quoted unnamed experts in Ukraine who published a document criticising the Association Agreement that Kiev is planning to sign at the Eastern Partnership summit in Vilnius. The broadcast quoted the experts arguing that “without a change in the Ukrainian Constitution, the state cannot sign the agreement”. The potential amendments will limit the independence of Ukraine, the reporters added. Another controversial argument was made related to the establishment of international bodies, and the recognition of the jurisdiction of the International Criminal Court. Belarusian television concluded that recently Ukraine also made a step towards the Customs Union after it became an observer for this organisation which includes Belarus, Russia and Kazakhstan. Russia-US relations. State TV reported that relations between these countries are in a deadlock. It quotes Barack Obama, who talked about taking a pause in the two states’ mutual relations, but also quoted Sergey Lavrov, who was being persuasive said that “there is no Cold War between both countries”. The administration in Washington also needs to cope with the dissatisfaction of American citizens in the aftermath of media revelations about the collection of private data from Americans and foreigners from emails and telephone conversations. Belarus-Poland relations. According to state television, Poland initiated a meeting to discuss mutual relations between the countries at the Belarusian Ministry of Foreign Affairs. No further information was provided. Changes in the electoral process to make it more transparent and democratic. Lukashenka chaired a meeting on changes to electoral procedures “to optimise the electoral process”. According to Belarusian TV, the work on this began back in January. The main goal of the amendments is the “maintenance of both national interests and international standards”. A majority of these changes are related to parliamentary elections and include one round of elections to the parliament, more electoral committees, and prohibition of election boycotts. Belarusian TV also divulged that some issues had caused disagreement among the participants of the meeting. Not everyone shared the same opinion about the changes to campaign funding. Uladzimir Andrejchenka, head of the lower chamber of the Belarusian Parliament, argued that without money it will be difficult for candidates to collect signatures. The participants of the meeting decided that state funding would be increased threefold, although some advocated making it five times higher. Under the changes, all candidates will also have to reveal whether they have a criminal record. The representatives of the higher chamber of the Parliament stated that “in general the project is a good one. It makes the electoral process more democratic and transparent”. Reorganisation of Belarusian science sector. Lukashenka organised a meeting at which he gave officials three months to implement serious changes in the Belarusian science sector. He demanded that they optimise their management of science and also reform the Academy of Sciences. He also raised the issue of funding: “from 1 January we will not pay high salaries to anyone, even to scientists (…) because we assume that scientists are smart people and should earn money both for themselves and for the state. So why should we waste money from a budget if we will not get anything in return?”. Who is hiding the real numbers and why? Recently the Belarusian Ministry of Interior revealed a number of incidents of falsifying reported numbers in the agricultural sector. State TV stressed that most of the incidents appeared in reported figures on the volume of milk held in storage, but there were also some issues with the ongoing harvest campaign. It quotes the minister, Ihar Shunievich, saying that “this is [done] to hide the incompetence of a farm’s leadership”. “Others come to learn from us”. State TV proudly reported that the first Belarusian nuclear power plant in Astraviec is being built in accordance with modern international standards. It added that the most influential organisations specialising in the area, such as the International Atomic Energy Agency and Russia’s Rosatom, have confirmed this. State TV also reported that the Belarusian side, for the second time, will discuss related environmental issues with representatives of Lithuania, because “Belarus has always been in favour of an open dialogue with its neighbours”. Minsk even plans to issue free visas and bus transfers to Lithuanian citizens who come to Astraviec for consultations. An activist from Ecologic Initiative confirmed that the management of construction is paying attention to the high environmental norms. The media has reported that Minsk spent $250m on preparation of the facilities’ construction alone. It proudly boasted that experts from Poland, Russia and Bulgaria have come to Belarus to gain experience. International ratings are untrustworthy. State television reported that a wave of corruption scandals have recently swept over European countries, such as Spain, Czech Republic and France. They made light of the fact that paradoxically the Czech Republic ranked rather high on Transparency International’s report (54 out of 176), despite having serious problems with corruption “from low-level clerks up to the prime-minister’s assistant”. According to Belarusian television, CIS countries are unfairly ranked very lowly. State TV explained the logic behind this as follows: “an investor looks at the rating, chooses higher positions and brings his money exactly where he should. In that way they take potential investment opportunities away from their rivals”. To prove the unreliability of international ratings, state TV gave the examples of Italy and Australia where courts have convicted credit ratings companies such as Standard & Poor’s. Belarusian company conquers Ukraine. Belorusneft will start working in oil fields in Ukraine. State television commented that “entry of the Belarusian company to the Ukrainian market will be just another step in development of its export potential”. It also added that the Belarusian oil companies are already successfully working in Western Siberia, Venezuela and Ecuador. Modernisation of Belarusian economy. Lukashenka discussed with Deputy Prime Minister Piotr Prakapovich the campaign for the modernisation of the economy. The authorities have already introduced their strategy in more than 3,000 state companies. The TV noted that the wages of employees had already increased by 11.5% in the first half of a year, and basic capital has been increased thanks to more investments. However, the modernisation campaign faces some problems. As Prakapovich stated, the lack of an effective management system is hindering it. India interested in privatisation of Belarusian companies. Manoj Kumar Bkharti, Indian ambassador to Belarus, confirmed that his country is keen to buy shares in Belaruskali. State TV also reminded viewers that the Belarusian authorities announced that wanted to privatise the company back in 2011. Electoral Reform in Belarus: Liberalisation or Window-Dressing? On 6 August 2013 Alexander Lukashenka held a meeting with top officials on the proposed changes to the Election Code. Some of the announced changes could potentially serve to further tighten the government’s control over elections. Meanwhile, the officials’ rhetoric concerning electoral reform implies that they intend to carry out these vague legislative amendments as if they were implementing Organisation for Security and Cooperation in Europe (OSCE) recommendations. If the OSCE wants to avoid such window-dressing from the Belarusian government in future, the organisation should reconsider its approach to drafting these recommendations. The first alarming aspect of the current electoral reform is the way the government is working on it. The Central Commission on Elections (the Election Commission) announced its plans to amend the Electoral Code at the end of 2012. Since then, the public has not been given access to any draft with regards to this reform. Some politicians have accused the Election Commission of intending to “surprise” the opposition with unexpected changes on the eve of the local elections of winter 2013-2014. The sparse information that has been presented by state-run media reveals some amendments that the Electoral Code will probably undergo. First, the amendments would prohibit campaigning to boycott an election. During the most recent parliamentary elections of 2012, some opposition candidates used their right via state-run media to call upon citizens not to vote. This irritated the authorities, who censored most of their agitation. Second, it would introduce the removal of budgetary support for candidates’ campaign funding. When the changes enter into force, the candidates will have to establish their own “electoral funds”. This measure could create problems for candidates who are not wealthy. Openly donating to the opposition can also be quite problematic in Belarus. During a presidential meeting held on 6 August, officials did not conceal the fact that they introduced this measure to control the candidates’ funds more effectively. Third, the proposed reform will establish an additional level of electoral committees: territorial. This way, the government argues, it will become easier to administer the elections. Opponents are convinced that this is just another obstacle, planned to lessen the number of complaints sent to the Election Commission in order to hide the real scale of complaints from foreign observers. Another procedural novelty relates to defining the winner during parliamentary elections. There will be no need to receive more than 50% of the ballots; victory with just a simple majority will be enough. Again, opponents suspect the government is making the work of falsifiers easier; this way, they will not need to “add” too much support to the pro-governmental candidate. All in all, the proposed reforms seem unlikely to ease campaigning. On the contrary, the government may use them as further restrictions on independent candidates. 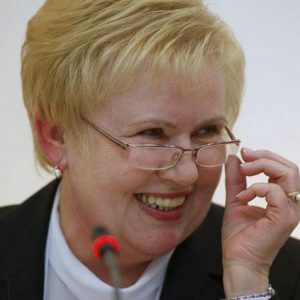 The Election Commission Head Lidia Yarmoshyna used interesting rhetoric to convince Lukashenka of the necessity of the changes and, in particular, of enabling candidates in local elections to generate their own funds: “Let them establish their own funding; they will not do it, but it is for the sake of democracy”. Leaving aside the idea that the permanent Head of the Belarusian Election Commission cares about democracy, one can conclude that imitating democratisation before Western observers has become the major purpose of these reforms. This is in line with the statements made by the Election Commission spokesman Mikalai Lazavik after every election which received an OSCE report: “We will implement the OSCE recommendations in part“. After the 2008 parliamentary campaign, the government adopted a group of amendments to the Electoral Code, in order, they announced “to comply with the OSCE recommendations that followed the elections”. In other words, the government has introduced very limited reforms, including purely technical improvements or those that will not influence the general transparency and fairness of the elections. The authorities omitted truly significant changes. The OSCE report also pointed out several other issues, including: non-transparent ballot counting, restrictions on observers’ work, biased coverage of the opposition in the state media, the closed nature of the procedure for announcing results, the uncontrolled mass preliminary voting system, etc. The OSCE’s technical, procedural and essential recommendations were thus mixed together into one convoluted report and followed by a “balanced assessment” of the progress made by Belarus. This provided the perfect grounds for the Belarusian authorities to interpret their critics’ advice in their own favour. The rhetoric that has followed the deliberations of the new amendments, the focus placed on reforming the candidates’ election funds (as the OSCE recommended inter alia in its latest report) without addressing significant gaps in the legislation means that the government may again plan to use its strategy of cherry-picking from Western recommendations to clean its hands. The OSCE has little power to correct its participating states’ policies. However, by modifying its approach towards its evaluation of Belarusian elections, it can at least stop giving a free hand to state propaganda to interpret these assessments in an improper way. When drafting the post-election reports, the OSCE should avoid the simple thematic division of recommendations (e.g. in the fields of media, registration, voting, counting, campaigning). Instead, OSCE experts should firmly divide all the recommendations into Fundamental, on the one hand, and Technical/Subsidiary, on the other, with a sharp boundary established between them. It is also better to avoid providing overly abstract recommendations that can work as guidance only for those governments willing to advance democratic changes. Instead, the OSCE should include only specific steps that are assessable, the progress of which can be easily measured afterwards. While assessing the legislative amendments, particularly in cases where no fundamental changes have occurred, it would be better to stress this fact. Otherwise, the government may cherry-pick the softest recommendations and proclaim “partial compliance with the OSCE critics” while still ignoring all the essential problems.